Ali Mokaram, Ali Mokaram, NFL Concussion Lawyer | Mokaram & Associates, P.C. To say that the National Football League is “popular” with American audiences would be an understatement of enormous magnitude. During the 2015 television season alone, the top 12 watched shows were all NFL games, with daytime games averaging 25 million viewers (1). Along with such high ratings comes a naturally correlated stream of revenue that last year reached $12 billion dollars, and is expected to increase again this year (2). With staggering numbers and popularity however, we may forget about the very real price that is being paid by the people who play the game that we all love so much. In the opinion of an increasing number of scientists, NFL players are paying the cost of such entertainment with their health and long-term well-being. Once their playing careers have ended, many NFL players find that the physical toll that playing professional football has taken on their bodies makes them unable to live a productive, healthy life. Some of these injuries include physical pain from broken bones and joint injuries, but increasing evidence shows that many professional athletes also have suffered degenerative brain disease from repeated concussions as a result of playing in the league. Within recent years, the study of concussion-related brain disease has increased exponentially, and the findings are more shocking than we initially even thought. In 2014, documents were filed in U.S. Federal Court that showed that the National Football League expects and believes that nearly 1/3 of all retired players will “develop some form of long-term cognitive problem – such as Alzheimer’s’ disease or dementia – in their lifetime as a result of head injuries suffered on the field”(3). Ali Mokaram is a leading NFL concussion attorney based in Houston, Texas. He currently represents former NFL players who are taking action against the league for ignoring the health and safety of its players. Ali Mokaram’s clients include multiple Super Bowl champions as well as players who never played a single snap in a live game, yet still suffered severe brain trauma as a result of their career as a player. What did the NFL actually know about concussions and when did they learn head injuries could cause lasting damage to the players? NFL players often tell us that football is a violent sport. Did they willingly choose the high compensation that comes with playing in the league over their own health and safety? As with most questions that arise with the massively popular major sports leagues (especially with the NFL, which boasts a dominant 55% majority of major sports fans in the U.S. (4)), the answers are often politically charged and are not always as clear as we would like them to be. “We discuss it on the list of things every time we have a league meeting … We think the issue of knees, of drugs and steroids and drinking is a far greater problem, according to the number of incidents.” Pellman also told Sports Illustrated that “concussions are part of the profession, an occupational risk” (5). 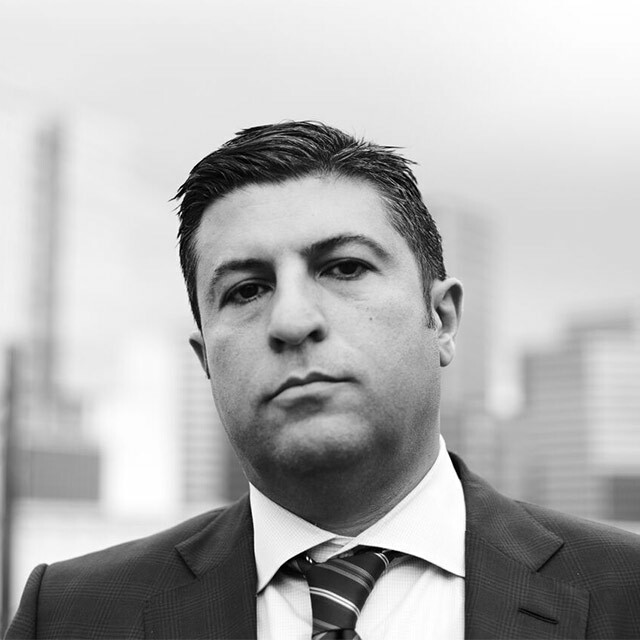 Attorney Ali Mokaram has been practicing personal injury law in Texas for over 20 years. To lawyers like Ali Mokaram, it seems evident that the league was at least partially aware of the damage that concussions could have on its active and retired players, but instead chose to feign ignorance and downplay the reports and research that went along with it. While evidence like this often answers (or partially answers) the question about when the league was first aware of concussion-related problems, it doesn’t answer the question of the players’ responsibility. To this question, we think it is a fair assumption to make that players indeed know that the NFL is a violent, competitive league. In comparison to other major professional sports (aside from boxing, which in essence is based mainly around delivering and sustaining blows to the head), football is a riskier and more concussion-prone sport to play. However, most players were unaware of the long-term effects of concussions, and were often encouraged to “play through” the symptoms, which often worsen the effects of trauma to the brain. This willful and deliberate downplaying of the severity of repeated brain trauma falls on the league. Being aware of this kind of occupational hazard is far outside the responsibility of the player. When coaches encourage athletes to continue to play after getting “your bell rung,” most professional athletes (whose contract is often partially dependent on on-field performance) couldn’t or wouldn’t make a decision to disobey. It is precisely this issue that makes it important for former NFL players to have a voice and agency to speak against the league and its treatment of traumatic and degenerative brain injuries caused by the game. Attorney Ali Mokaram and his colleagues have made strong efforts to connect with professional players and help them seek compensation for their suffering. If you are a professional football player who would like to know more about concussion lawsuits and your legal options, contact us at (713) 952-4445.